The soccer news starts with the away teams in the MLS knockout round. Columbus needed penalties to see off DC United at Audi Field. In a back and forth game, Frederic Brillant put DC up in the 21st minute. Federico Higuain equalized in the 30th minute. With the game in extra time, Higuain scored again in the 96th. Nick DeLeon equalized in the 116th to send the game to penalties. Columbus advanced 3-2 on penalties. They host the Red Bulls in the first-leg of the Eastern Conference semifinals on Sunday. In the Western Conference, LAFC lost 3-2 at home to Real Salt Lake. Damir Kreilach scored for RSL in the 21st with Danilo da Silva equalizing in the 31st. Christian Ramirez put LAFC up in the 54th with Kreilach equalizing in the 58th. A 69th minute own-goal decided the game. Real Salt Lake advances to host Sporting KC in the first-leg of the Western Conference semifinals on Sunday. "The way we lost is difficult to accept because we felt like we controlled the game." LAFC's Carlos Vela said. "We created chances, fielded the better team, but in the end football is like that. If you don't score goals, if you're not tough enough in your back, you can't win." Moving to England's League Cup, Tim Ream subbed out in the 69th minute for Fulham's 2-0 loss at Manchester City. Luca De La Torre was on the bench for Fulham. In the KNVB Beker, Andrija Novakovich wasn't in the squad for Fortuna Sittard's 3-2 win at NEC Nijmegen. NEC went up in the 20th with Mark Diemers equalizing from the penalty spot in the 22nd. NEC scored again in the 28th with Finn Stokkers equalizing in the 66th. Lars Hutten scored Fortuna's winner in the 85th minute. 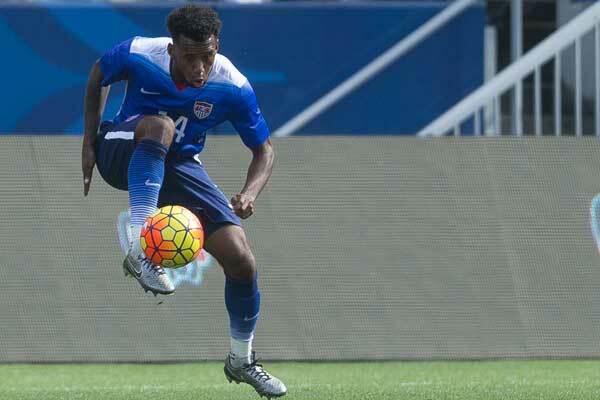 Pro Soccer USA's Jordan Culver reports on Orlando City building a training center. ESPN's Andy Mitten stresses consistency for Paul Pogba at Manchester United. FourFourTwo's Matt Ladson on the difference in tactics from Liverpool manager Jurgen Klopp this season.